An illustrated social story about waiting, and an audio/visual timer that can be set to any amount of time & runs in the background of other apps. Having to wait for something can be a difficult behavioral skill to teach to any child. 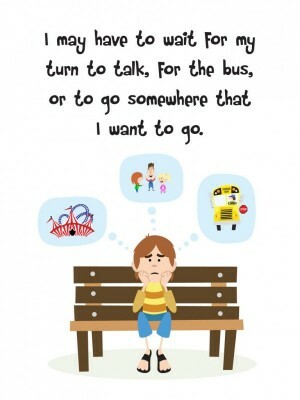 Many children with adhd, autism or intellectual disabilities may find it particularly hard to deal with the frustration that can accompany waiting or the anxiety caused by transitioning between tasks. Visual supports such as the social story and visual timer found within this app have been shown to help ease anxiety associated with waiting and transitioning and to reduce problem behaviors. 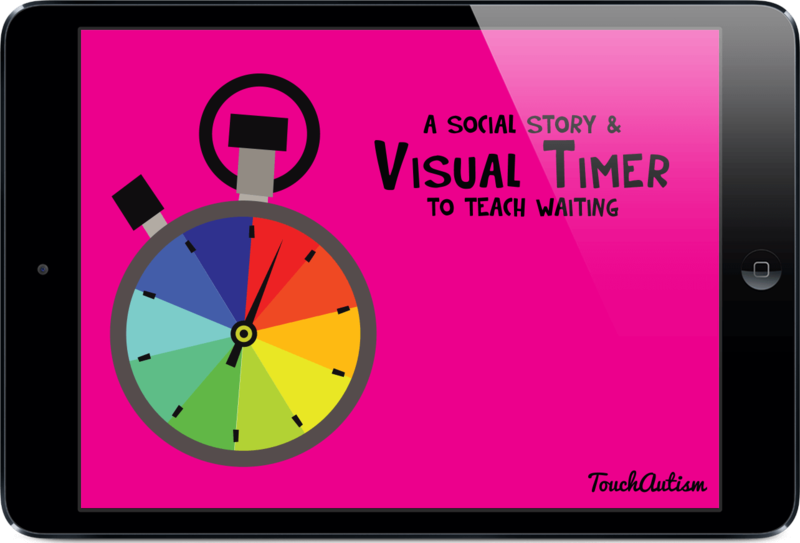 The app includes a social story about waiting that introduces the visual timer that is also included with the app. The social story talks about good waiting strategies and bad waiting behaviors and explains what is expected of the child. 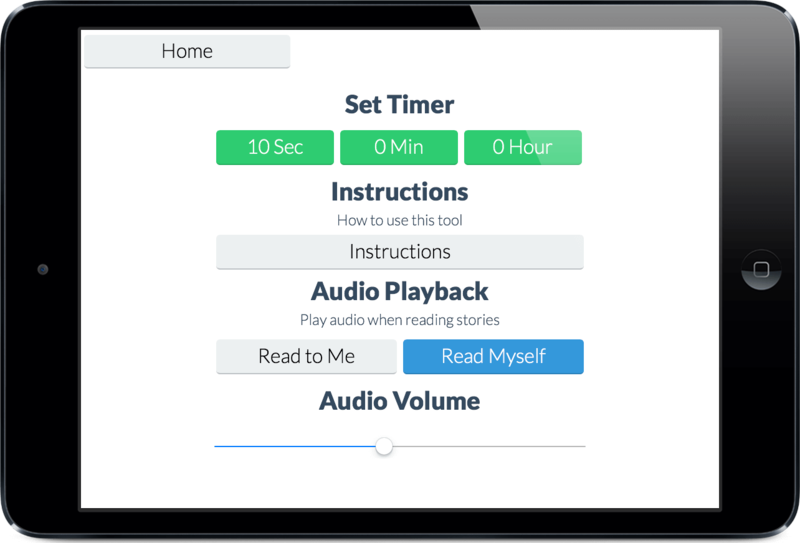 The social story can be listened to, or the volume can be turned down in the settings so that it can be read out loud. It is a good idea to read this story several times with your child or client when they are calm and happy to teach the strategies they will need when actually frustrated, angry or anxious due to waiting or transitioning. 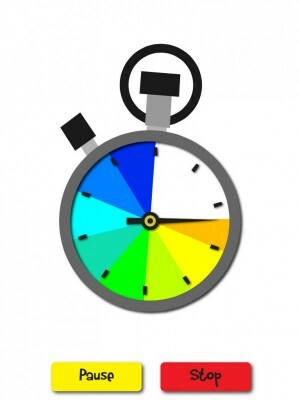 The visual timer can be used for either waiting or transitioning. 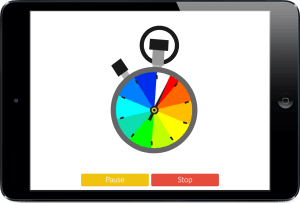 Children can easily see how much time is left by watching the time tick away on the colorful visual timer. 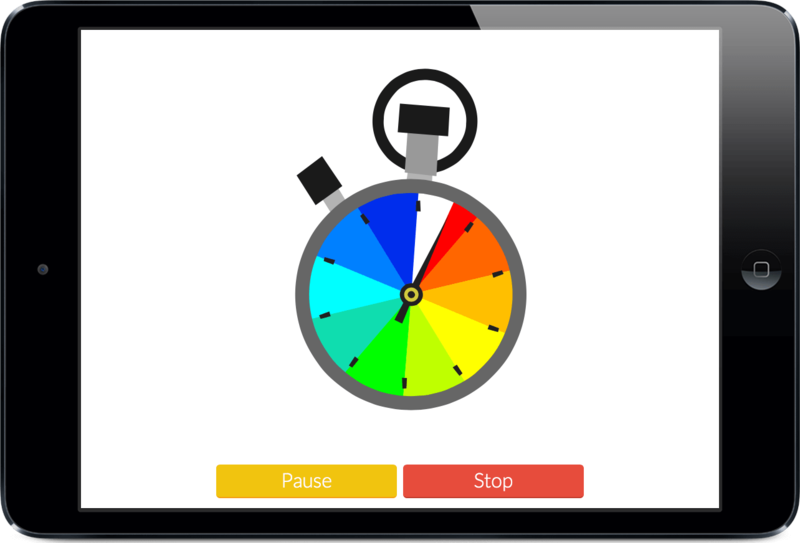 The timer can be set for any length of time, and the hand on the clock will always move at a constant rate for the amount of time selected. The wait time always fills the “full circle” of the timer so it is easy to see how much time is remaining. The app also continues running in the background so you can close the app and use the device for other purposes and then return to the app to see how much time is left on the timer. The app will also alert you that time is up if the timer runs out while the app is closed. 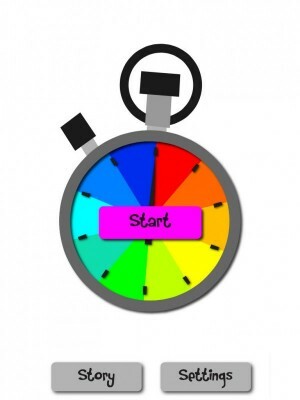 It is a good idea to slowly teach waiting with the timer by setting it for small amounts of time initially. You can set the timer for just a few seconds, and then reward good waiting behavior for that time. Slowly increase the amount of time spent waiting, continuously rewarding the child for good waiting behavior. 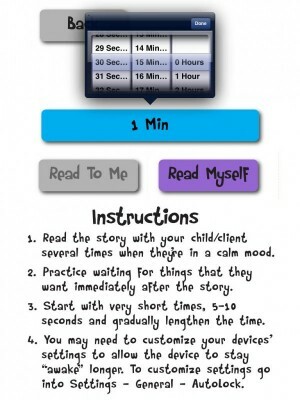 This way your child or client will be familiar with waiting while watching the timer, and will have a history of positive experiences with the app. Best Visual Timer – Have tried other visual timers and they all have issues, this one is great and I love having it on my phone so I can take it with me all over the school. I use it daily on the playground and in the computer lab. Nice, clean & easy – Works as described. Easy, clean and straightforward. Story was cute.